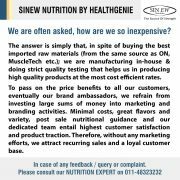 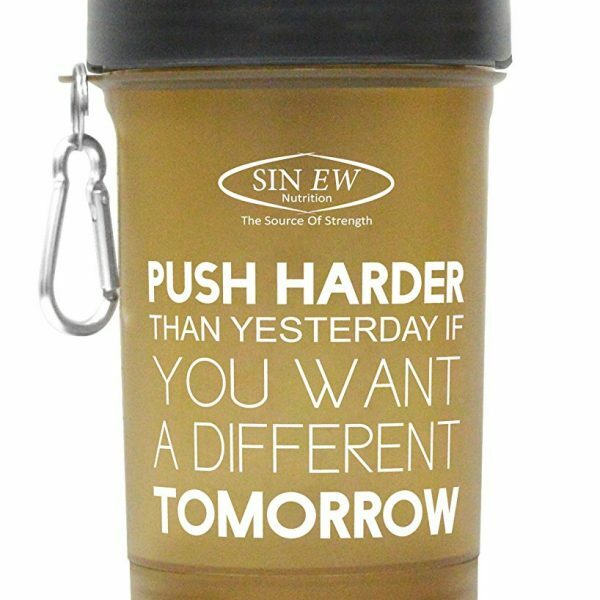 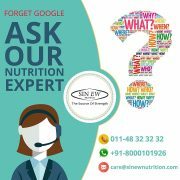 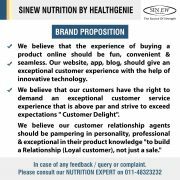 Sinew Nutrition smart shaker bottle 600ml 20 oz Sinew Nutrition smart shaker bottle is the all in one solution for the serious athlete. 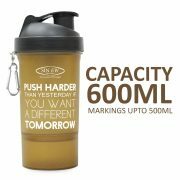 Capacity of 600ml measurements upto 500 ml. 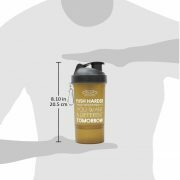 The bottom compartment holds 50 gms approx of protein powder. 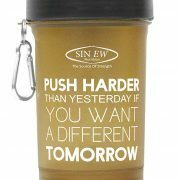 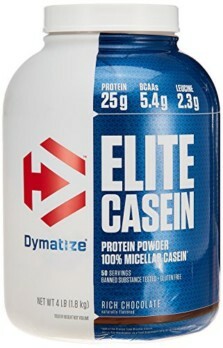 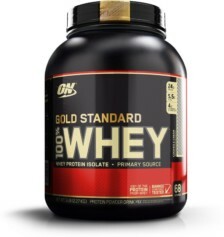 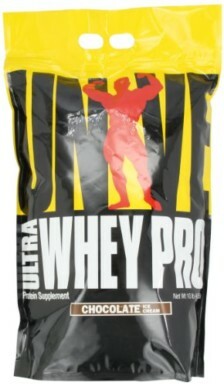 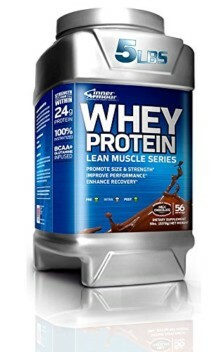 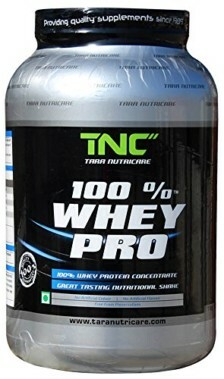 Recommended for protein shakes, pre workout, post workout, energy drinks, smoothies and more. 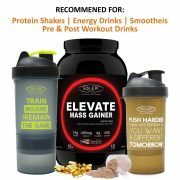 Store everything you need for preworkout and post workout enhancement. 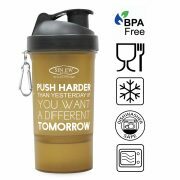 Bpa free safe to use in dishwasher, keeps your shakes liquids toxin free ensuring your best health. 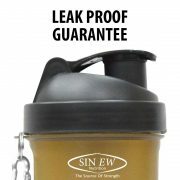 100 Percent leak proof advanced anti leak technology, expandable and unbelievably strong.